Constitution Day is an annual observance in Belarus held on March 15. 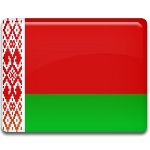 Constitution Day in Belarus is not a non-working public holiday, but it is considered a commemorative day. It celebrates the adoption of the 1994 Constitution. Throughout its history, Belarus adopted five constitutions. Four constitutions were adopted when the country was part of the Soviet Union (in 1919, 1927, 1937, and 1978). These constitutions complemented the Constitution of the Soviet Union. Soon after the dissolution of the USSR and the proclamation of the independence of Belarus in 1991, a Constitutional Commission was established. The final draft of the constitution was approved in 1994. On March 15, it was signed by head of state Myechyslaw Hryb. Belarus was one of the last post-Soviet countries to create and adopt a new constitution because of a power struggle that caused much debate. The Constitution of the Republic of Belarus is the country's ultimate law. It consists of the preamble and 146 articles divided into nine sections. The Constitution defines Belarus as a presidential democracy and introduces separation of powers. Since its original adoption, it was amended twice, in 1996 and in 2004.